One package contains 12 bottles. 1 Liter bottles of Water repellent – Protection Rain Stop Natura. One package includes 12 bottles. 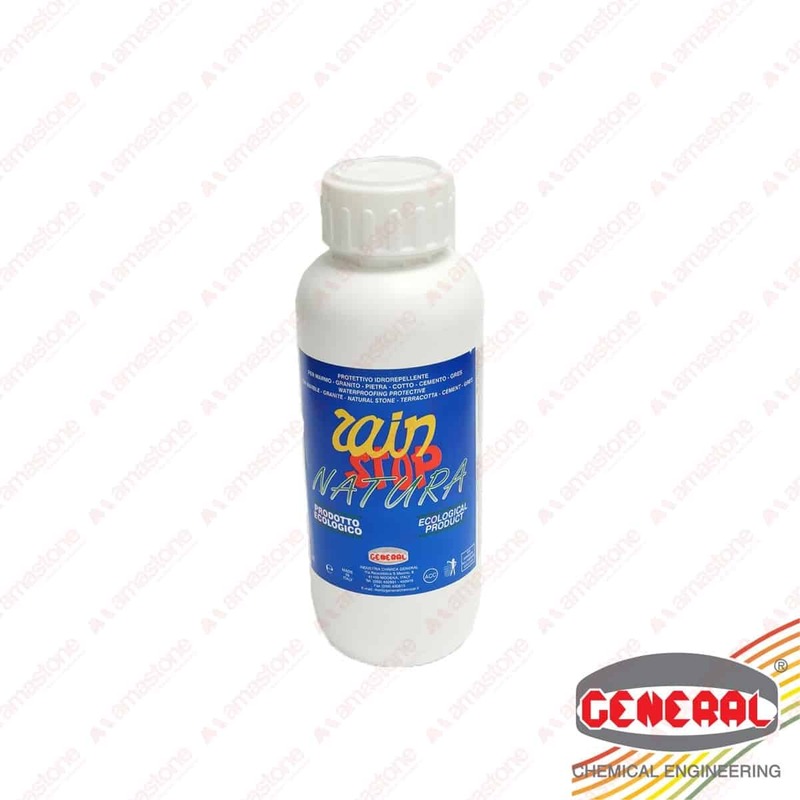 Rain Stop Natura is the water-based version, respectful of the environment, of Rain Stop which retains the most important properties of the regular formula. Naturally, this water-based formula has less penetrating capacity and is best suited for surfaces with medium to high porosity. 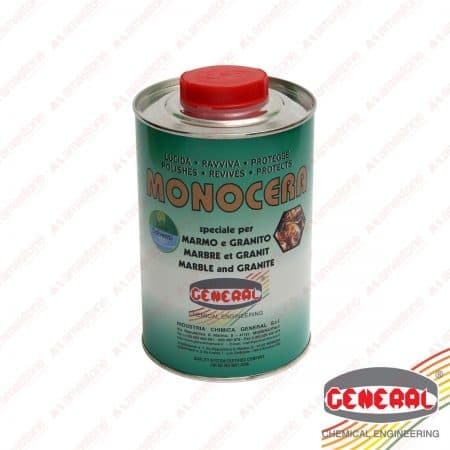 Ideal water repellent for interiors and exteriors. Water-based liquid formula recommended for plaster and cement surfaces requiring higher resistance to alkaline environmental conditions. 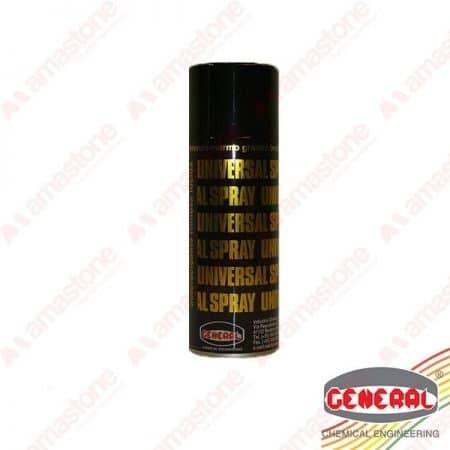 This water-based formula applies easily, even on damp surfaces; simply apply until no more product can be absorbed. Rain Stop penetrates deep but does not form a film on the surface nor does it noticeably alter the original surface colour. 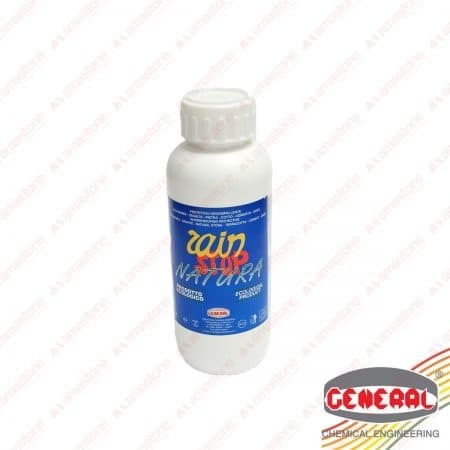 Rain Stop offers long-lasting resistance, treated surfaces retain transpiration permeability (allows vapours to exhaust from within stone). 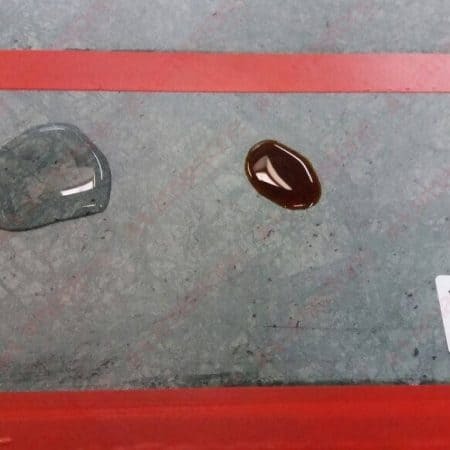 Apply a second coat to particularly absorbent stone while surface is still damp (after drying the water-repellent effect will prevent penetration by a second coat). 316,80 € 189,60 € exc. VAT Sale! 132,00 € 79,20 € exc. VAT Sale! 26,00 € 15,60 € exc. VAT Sale!